Next year, my primary focus will be on helping you live your best reading life…by sharing some real tools to help you pick better books, by helping you make the most of your reading community, and by sharing the same fantastic book recommendations you’ve always gotten. And, everyone’s reading taste is different. Rather than just sharing my own reading on this blog (don’t worry, I’m not going to stop doing this), I’m also going to help you learn how to choose books that are most likely to appeal to you. Many of my favorite books of 2017 were recommended to me by trusted sources…and were not the books publishers touted as the “must reads” of the year. I realized the source of the recommendation is way more important than the book itself. “Rock Your Reading” Tracking Spreadsheet – will enable you to easily figure out who your Go-To and No-Go Book Recommendation Sources are throughout the year (plus, will help you track a bunch of other good stuff…including summary charts that automatically populate as you enter your books). Available for purchase in January. Go-To Recommendation Sources Blog Post Series – I’ll be using my “Rock Your Reading” Tracker to find my Go-To and No-Go Recommendation Sources throughout the year and will share my best and worst sources every quarter. Personalized Book Recommendations for Patreon supporters – I’m planning to start a Patreon page to enable you to support the blog financially…and you’ll get some rewards as a thank you for your support! One of these will be Personalized Book Recommendations similar to the free trial of this service that I ran last Spring. Find Your Go-To and No-Go Best Books of the Year lists – free, downloadable tool to help you figure out which Best Books of 2017 lists are most compatible with your reading taste (already available here). One of the biggest joys blogging about books has given me is a huge community of people who love to read and talk books. Many of you interact with me here in the comments section, on social media, or via email. But, until now, you haven’t had easy opportunities to interact with each other. Your fellow Sarah’s Book Shelves readers are a goldmine for great book recommendations since you all have reading tastes that landed you in the same place! So, I’m going to help you all talk books and get to know each other better! 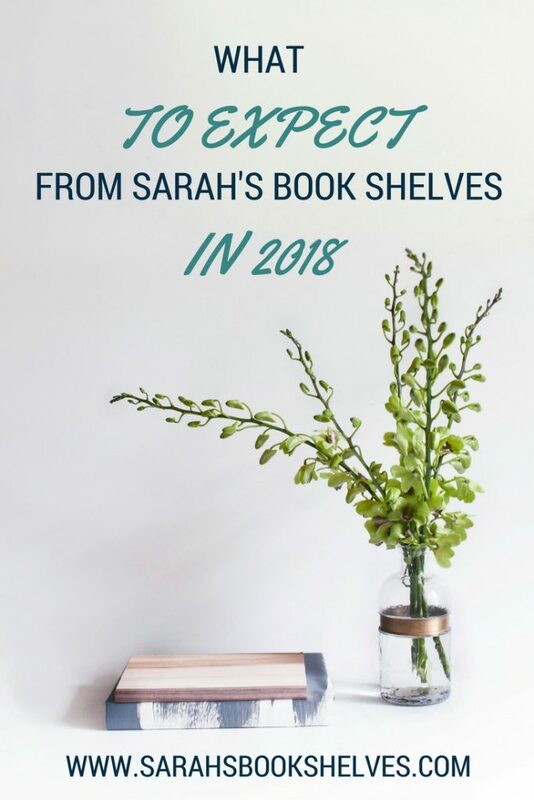 Reader Survey – in January, I’m posting a survey for Sarah’s Book Shelves readers. This will help me get to know you better as a group, which I’m dying to do! And, I’ll share the combined results in a blog post so you can get a collective sense of who your fellow blog readers are. 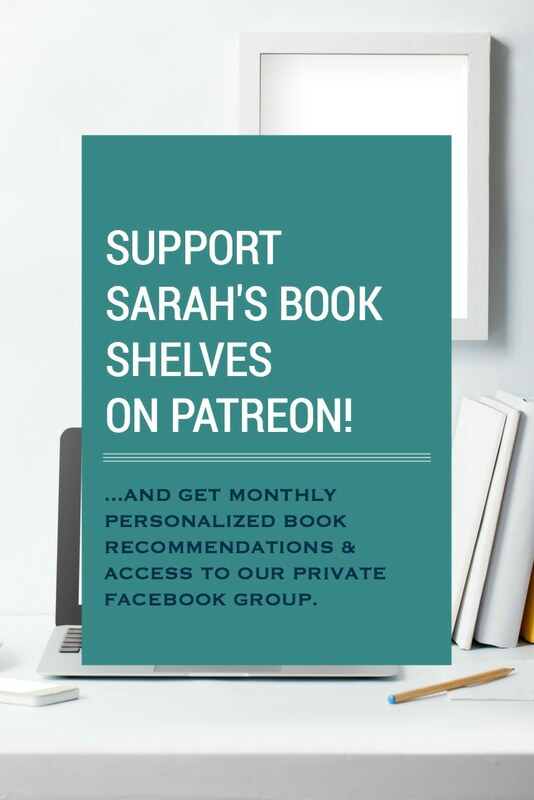 Private Facebook Group for Patreon Supporters – another reward from the Patreon page I mentioned earlier will be access to a private Facebook group where you can talk to other blog readers, share book recommendations, and hear some unfiltered book talk from me. I’d love to hear your thoughts on what I’m thinking for 2018! Does it sound appealing? Is there anything you were hoping for, but don’t see here? Anything on here you’re not really interested in? Reading more nonfiction and backlist – mostly through incorporating audiobooks to my reading routine. Improving my Pinterest presence – improved from my #4 social media network at about 10% of traffic (as of 12/31/15) to my #1 network at about 64% of traffic (as of 12/19/16), probably my biggest 2016 win. Writing more creative features and recommendation lists – continued my Alcohol & Advil feature, created numerous recommendation lists, and expanded my book club recommendations to include Coed Book Club Recommendations and Short Books that Would Spark Lively Discussion. And, I did feel less overwhelmed by the combination of mothering and blogging. The downside was that I felt like the blog fell into a bit of a rut…it looks and feels much the same as it did at the beginning of the year. 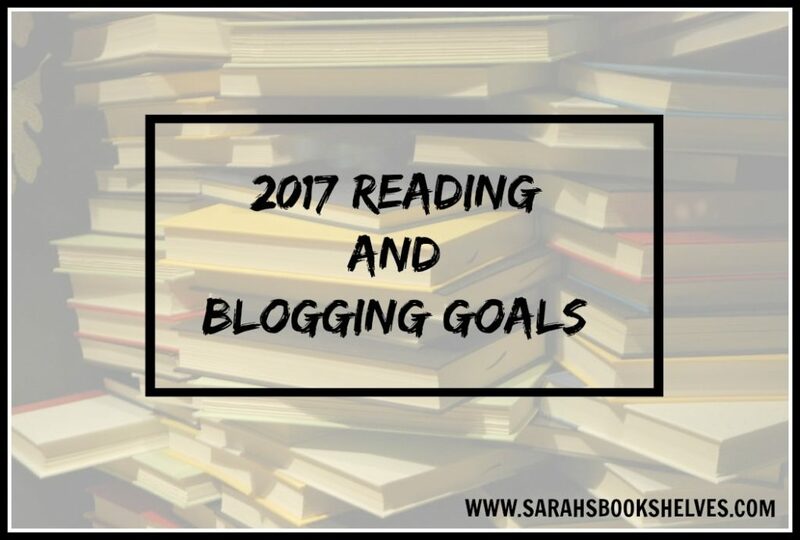 Which brings me to next year’s goals…2017 will be about busting out of my blogging rut. Leave More Time for Free Range Reading – I’m pretty sure this will be a perpetual goal of mine. I failed miserably at this during the first half of the year, but recovered in the second half by requesting fewer ARCs. Read More Backlist Books – I doubled my backlist books total from last year (from 10 to 20), many of which were on audio. However, only two were five star reads (Tiny Beautiful Things and Mudbound), as compared to five last year. I’d like to actually read more backlist (in addition to listening) in 2017. Track Editors and Select Books Based on Them – Last year, I focused on choosing books by imprint, which worked alright, but not great. I’ve recently started tracking the editors of books I love and will attempt to follow their books into 2017. Now I just need to figure out how to track upcoming releases by editor. Suggestions? Delay Requesting ARCs from Unknown Authors – My 2016 ARC success rate was a dismal 41%. I cut back my ARC requests in the second half of the year and waited until I’d started to hear some feedback from trusted bloggers before requesting new-to-me authors. My second half reading felt much better. Continue Using My Library – I started using my library this year (I know…embarrassing) and it got me to read more backlist (since my library’s new release selection isn’t great) and take risks on books that are out of my comfort zone since there is no review pressure or money wasted. Achieve my Goodreads Goal of 90 Books – I blew through my 2016 goal of 75 books (I’m at 92 so far), mostly by adding audiobooks to my reading life. I’m setting the bar higher for 2017. Test Out a New Idea on the Blog – a 2016 goal that I did not accomplish was to “Find Creative Ways to Monetize My Blog.” I had an idea, but never followed through because of concerns it wouldn’t work. This year, I’m planning to test out a scaled down version of my idea around Mother’s and Father’s Day. If people seem interested in it, I’ll make plans to move forward with the full version. If it fails, then no harm done. Write More Creative Features and Recommendation Lists – this was a 2016 goal and will probably remain an annual goal as long as I have this blog. I already have some ideas I’m excited about waiting in the wings, one of which is for Friday Night Lights fans. Continue to Improve my Pinterest Presence – build on my 2016 progress by continuing to segment my boards, track analytics, share others’ content, and participate in group boards. What are your 2017 reading goals?